Well, I hope the title says enough to get someone interested in looking here. I have a bit of a quandary. 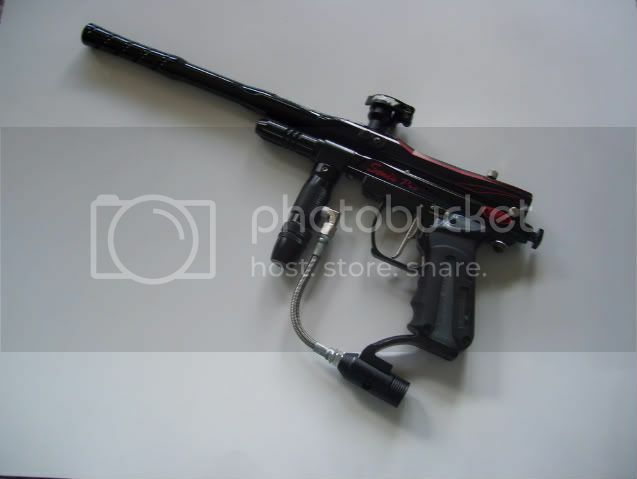 I'm well versed in the Tippmann 98 (I'm known as "The Duck" on 98 og. Though it has been some time since I've been on.) but I am woefully ignorant when it comes to Spyders and their kind. Nothing against them, just went a different direction. And that brings my to your fine forum. My step-daughter recently came into a few markers and some gear. 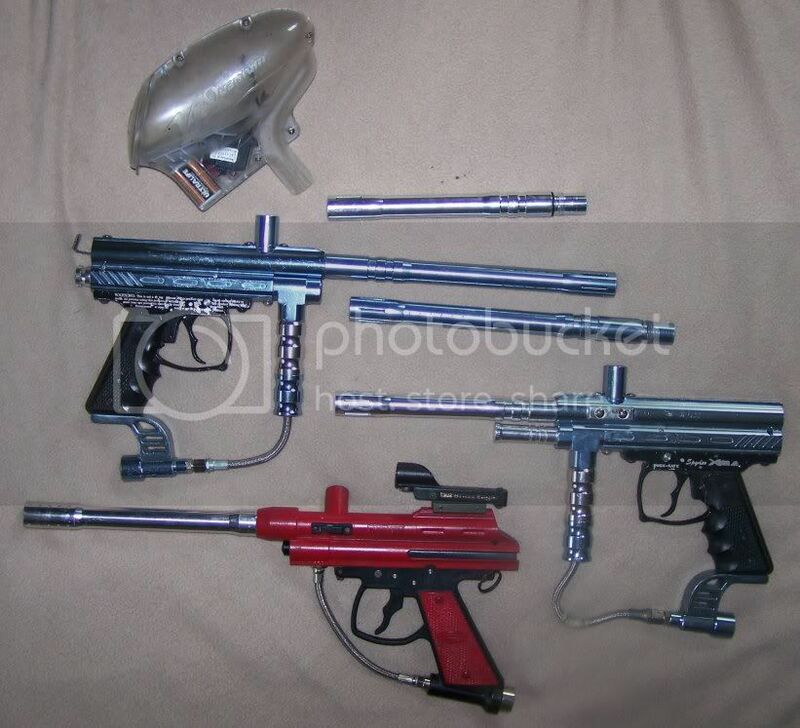 (Two Spyder Xtra's and a Brass Eagle Eradicator.) The misc gear I'm not too worried about as I can easily figure the value of that. (About $2.00 ) But I have no idea the value of the markers. They are several years old and they seem to be missing some components. Here's an image. If I can get an idea of their value, I'd like to offer them up here if anyone is remotely interested. Thanks for your help and I look forward to any replies. Let me know if you need closer pics. there value depends on what is missing, the eradicator isnt worth much. i'd say youd be lucky to get $20 out of it. the Xtras if they were complete might be worth $30 or $35. I might be a little high on these prices since I havent looked at any online for awhile. Shadow is spot on with pricing on the forums. If they were complete I'd say that's how much they're worth also. However, on eBay these seem to go for around $45-$50 complete. I don't think it would be worth your time to buy parts for them and then sell it. Are JT's still worth anything? I'm not hearing anything about anybody using them. spyders arent worth much so spyder knock offs are worth even less. Those guys are spot on about forum prices. Dang kids trading there guns the minute the get them for half the cost of them has driven prices down to almost nothing for years.